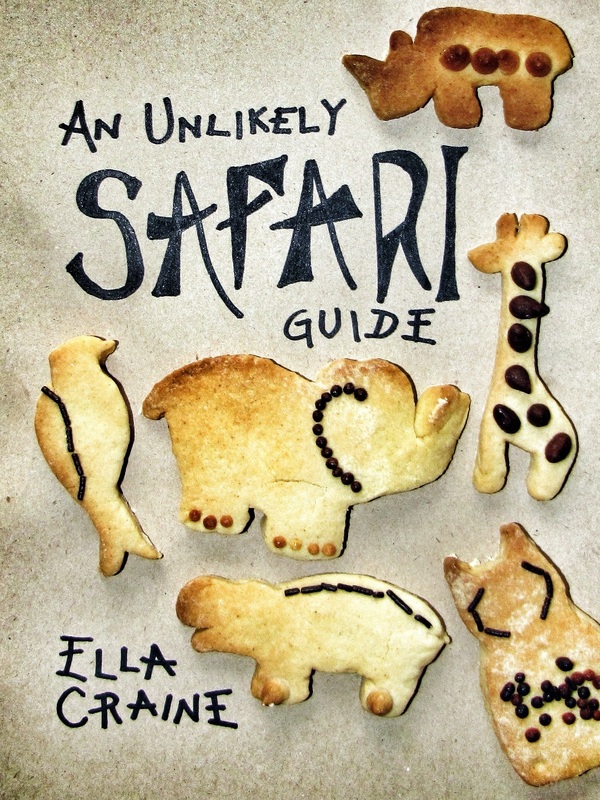 One of the things I love most about being a safari guide is the never ending stream of juicy new knowledge that just keeps on flowing at you like an eternal maple syrup mudslide. Tonight I’ve been hanging with the exceptionally cool people at Bhejane Nature Training and on a post-dinner scorpion walk, we found a wing belonging to a green-banded swallowtail butterfly. We found it because the blue bits glowed under uv, just like a scorpion does. I SO didn’t know that. 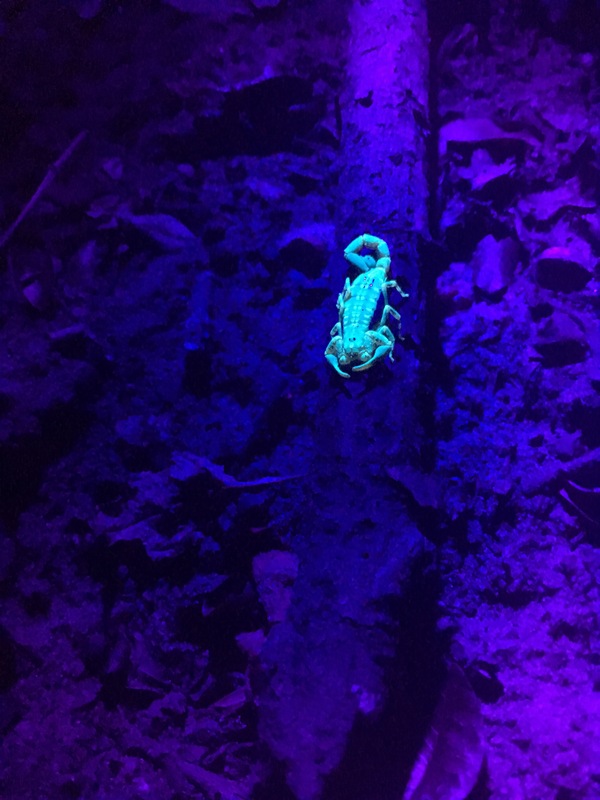 No one really knows just yet why scorpions glow under uv light. But butterflies? Dude. I wonder if it’s like aposematic colouring taken to the extreme? 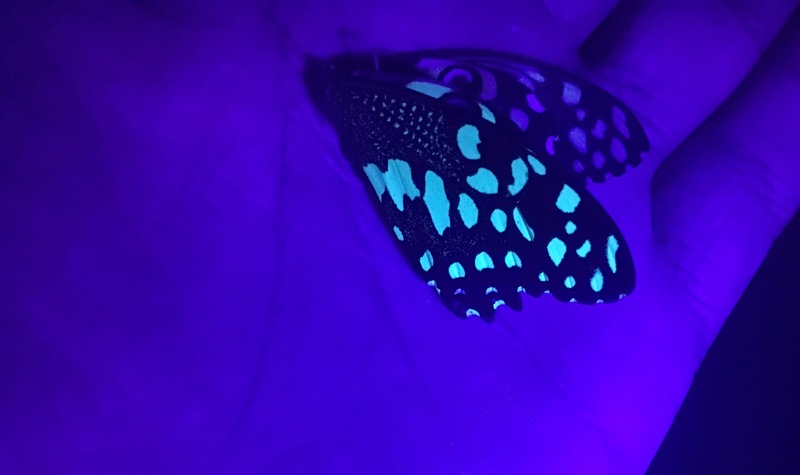 A lot of birds see into the uv spectrum and these butterflies would light up like fireworks to them. So maybe the uv shows the bird that the butterfly is like really, really unpalatable? Or is it to do with finding the glowiest mates? I have no idea, and I’ll endeavor to uncover the truth. But they glow. And I love it. We later found a citrus swallowtail wing and it glowed too. Wild. Edit: I researched. Butterflies, like birds can see into the uv spectrum, so being glowy helps them to find happy, healthy, glowy partners and helps them out in their advertising. I liked my psychedelic aposematic colouring idea though. 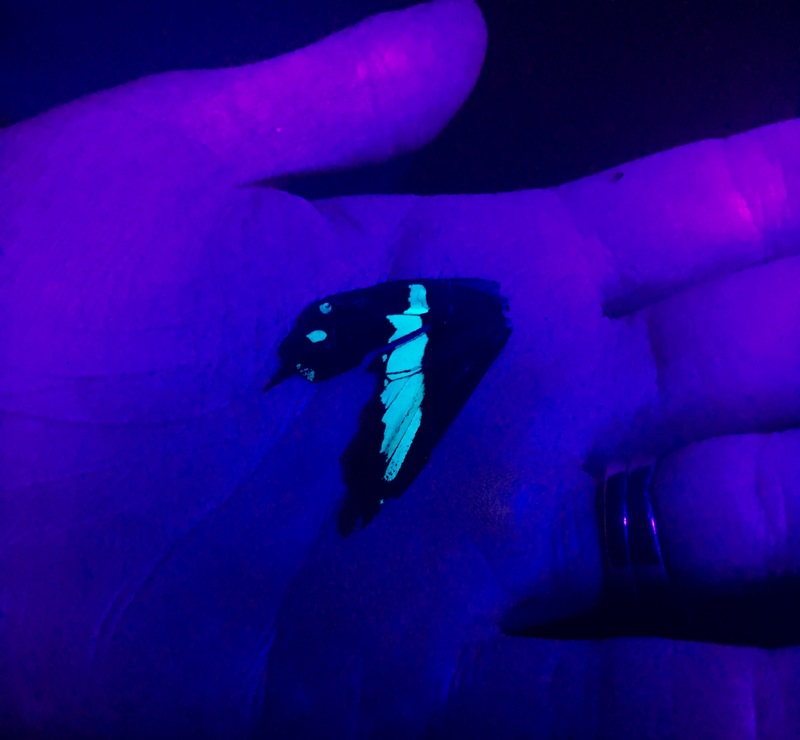 Of course there are going to be other guides and nature geeks reading this, thinking, ‘omg, are saying you seriously didn’t know that butterflies glow under uv?‘ But that’s okay. Because glowy butterflies. Green Banded Swallowtail. Totally mind blowing. We also found scorpions tonight. This photo is in case you haven’t seen any of the other 50 photos I’ve posted on the blog of glowing scorpions. There are so few things as fun as messing around with a uv light to see what glows and what doesn’t. And if you’re a nature guide, you get to do it all the time and it counts as working. Become a guide. Best life ever.